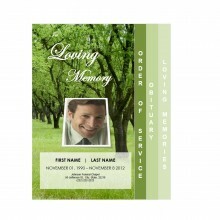 Want to create touching funeral programs that attendees can keep as treasured keepsakes? 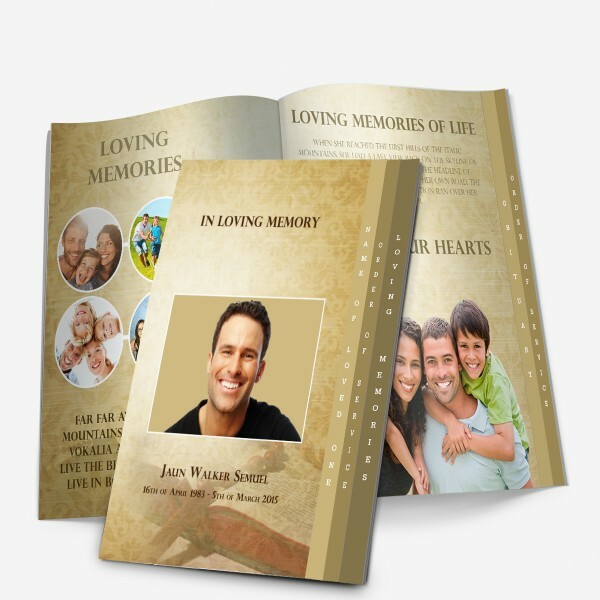 The Bible Graduated 4-page Funeral Program Template will allow you to create something truly unique. Part of our Bible series of Funeral Program Templates, this design has a damask background on every page and background graphics of open and closed Bibles placed beside wood rosary beads. The four-page obituary program template has a tribute page with an area for adding photographs on both sides and sharing memories about your loved one, the next page has an obituary template and the last page provides the order of service. Tabs in tones of brown let the recipients of the funeral programs turn to the pages with ease, as they are visible even when the cover is closed. 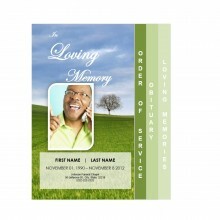 The Bible Graduated 4-page memorial program template is customizable with Microsoft Word. 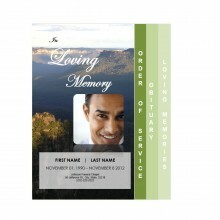 You can make the changes quickly and have the memorial service program template ready to print in no time. The Funeral Program Template requires two sheets of paper per program. You can use any standard 8-1/2 inch by 11 inch border-less paper for printing. 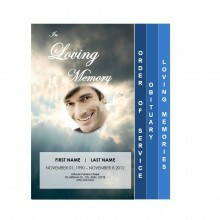 Want us to customize the memorial program template for you? Add the customization service to your order.